Homeowners who need to replace their windows are increasingly choosing fiberglass for its many exceptional and unique qualities. Fiberglass windows offer superior strength and durability, and they are designed to resist the wear and tear of the elements over many years. What Are the Benefits of Fiberglass Windows in the St Louis region? Fiberglass is the premier insulating material being used in windows today. It is made from a simple polymer that is reinforced with thin strands of pulled glass. Air is trapped inside, and it makes for the best insulation of any window type. It also will not conduct heat or cold, so that it will be impervious to extreme hot or cold temperatures. That translates to: fiberglass will give you the best protection from any weather conditions in the St Louis region. Superior acoustics due to the nature and structure of fiberglass as a sound insulator. With your fiberglass windows closed, loud noises outside your home will be significantly muffled. Resistance to excess condensation due to the insulating properties of fiberglass. Because fiberglass windows remain neutral to temperature changes, it is more difficult for condensation to form. Significant savings on energy bills. On average, your fiberglass replacement windows will reduce your energy costs by 20 to 40 percent over many other types of windows. The beautiful aesthetics of a wood window accompanied by the durability of fiberglass. 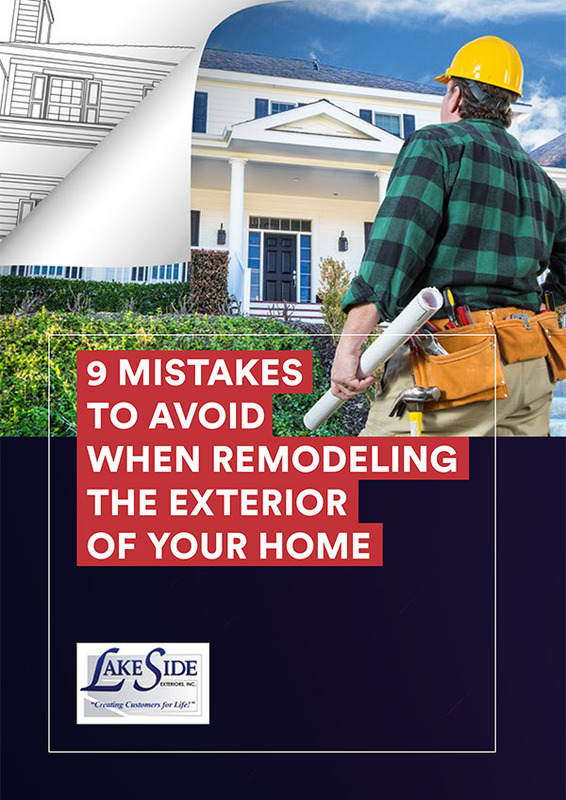 Your window contractor, Lakeside Exteriors, can paint your pultruded fiberglass windows to harmonize with your exterior paint, or your windows can be painted at the factory to include a peel-resistant finish. Remarkable strength and resistance to the warping, cracking, rotting and bowing experienced with vinyl, wood and metal windows. 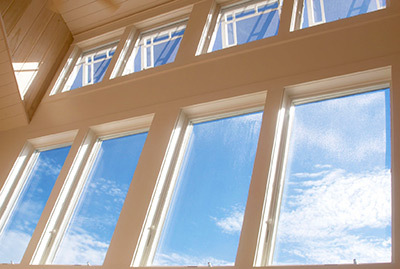 Fiberglass windows resist chemicals, corrosion, UV rays, moisture and insects. Low air leakage, quality fit and excellent stability across temperature extremes. For exceptional fiberglass windows that will serve you and your family for many years, choose St Louis’ premier contractor, Lakeside Exteriors. For more information or to request a quote, please contact us today. When choosing to replace old, drafty windows St. Louis homeowners cannot make a better, more durable choice than Infinity by Marvin Windows from Lakeside Exteriors. All Infinity from Marvin replacement windows are designed to offer excellent performance at an affordable price point. Their Ultrex Fiberglass frame is 8x stronger than vinyl & their Low-E glass with Argon Gas makes them a very energy efficient option for St. Louis homeowners.